Marcello Defant was born in Fermo (Ascoli Piceno) and currently lives in Castelfranco Veneto, Italy, near Venice. He travels extensively in a very active performing and teaching career, which has recently taken him to China, the United States, France, Spain and throughout Italy. He has also performed in Turkey, Japan, South America, Africa, England, Portugal, Germany and the Netherlands. He studied violin with Ruggiero Ricci, Salvatore Accardo and Franco Mezzena. 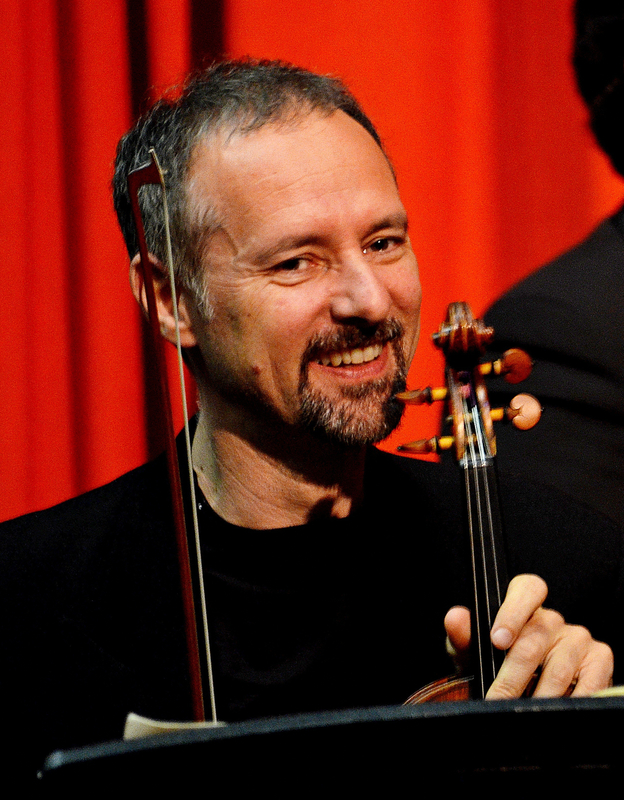 He has also studied viola and composition with Dino Asciolla and Renato Dionisi, and was recently granted his doctorate at the University of Bologna. Since his first public performance at the age of 15, he has performed as a soloist and chamber musician in a career that is reknowned for its virtuosity and inexhaustible eclecticism. His activity ranges from a well established duo with pianist Giacomo Battarino to performances as first violin of the German based “Concord” ensemble, which reunites outstanding musicians from all of Europe. As a proponent of Early Music, he has played as a member of the “Virtuosi di Roma” and as founding member of the “Camerata Strumentale di Roma”; furthermore, he is now concertmaster and musical director of the “Officina de li Affetti”. And with a deep interest in contemporary music, as well, he holds the position of first violin and is co-founder of the “European Music Project” ensemble, which has performed in Germany, Italy, Switzerland, and recorded for the Süddeutsche Rundfunk, DLF, BOS.REC, Symposion and Wergo labels. He has given masterclasses in France (Moulin d’Andè, Cratoule), Spain (Jimena de la Frontera), Italy (Accademia Musicale Pescarese, Orchestra Giovanile Siciliana, Ripatransone), and China (Kunmin University). In 2009 he has been appointed Artistic Director of the “Musical Passages” Chamber Music Festiva in Montefiore dell’Aso (Ascoli Piceno, Italy). He teaches violin at the “Giuseppe Verdi” Music Conservatory in Milan. In 2011 he has founded, together with pianist Giacomo Battarino and cellist Sebastiano Severi, the reknown arTre trio. His own discography as soloist is also remarkable: since 1996 he records for the Phoenix Classics label.